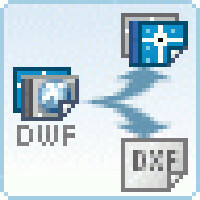 - Convert DWG and DXF to DWF in batches. - Versatile and customizable output. Enables you to choose the Quality, Format, Version, and Background Color of the DWF file. - SHX, Xref and Line width support. - DWF 6 support. 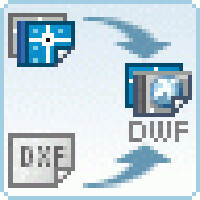 The new DWF 6 format supports multi-sheet DWF files, enabling you to include all layouts from a drawing in one DWF file. - DWF Properties support. Allows you to set the author, title, subject, keywords, copyright, description summary field for the DWF file. - Command line support (A full list of parameters can be found in the Help / Command Line Usage). 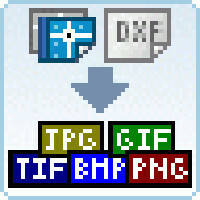 - Convert DWG and DXF to vector PDF in batches. 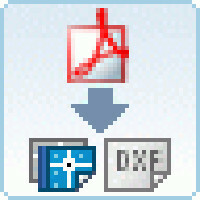 Converts PDF to DWG and PDF to DXF format for fast and efficient editing in AutoCAD. 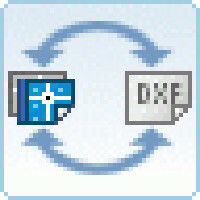 - easy convert PDF to DWG and PDF to DXF without the need of AutoCAD. Batch converts PDF to DWG or DXF quickly and accurately. Outputs AutoCAD R13 - R2013 DWG/DXF files.